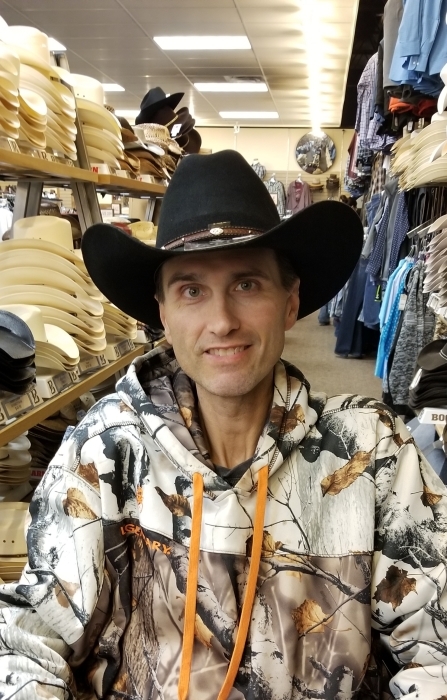 Anthony Peter “Andy” Jacobson, 45, passed away peacefully with family and friends by his side on Saturday November 24 at home following a long and courageous battle with cancer. He was born in Appleton on July 14, 1973, son of Neil and the late Claudette (Hupf) Jacobson. Andy married Melinda “Mindy” Speener on May 12, 2001. Andy was an avid hunter and fisherman. 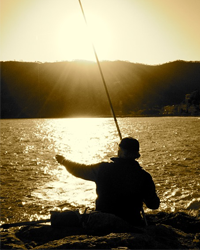 He loved sharing his passions for hunting and fishing with all who were willing to learn. Andy always made sure there wasn’t an empty seat in his boat. He also loved to have as many people as possible join in on the several winter ice fishing trips. Andy enjoyed many snowmobile and ATV trips with his wife and friends. He was an avid Packer, Brewer, Badger and NASCAR fan having attended several events. Andy always made a friend wherever he went and was loved by all who knew him. Andy is survived by his loving wife of 17 years, Mindy; daughter Ashley; father Neil; three brothers: Edward, Joe and Neil (Fuzzy); sister Pam; two sisters in-law: Sue Jacobson and Misty (Gerald) King; two brothers in-law: Jimmer and Pat; father in-law Larry; and mother in-law Rose. Andy was preceded in death by his mother Claudette; and his brother Chucky. Memorial service for Andy will be held at 3:00 PM on Saturday December 1, 2018 at VALLEY FUNERAL HOME with Rev. Mike Huff officiating. Visitation will be held at the funeral home on Saturday beginning at 1:00 until the 3:00 PM service. All attending are encouraged to wear some form of camouflage in Andy’s honor.